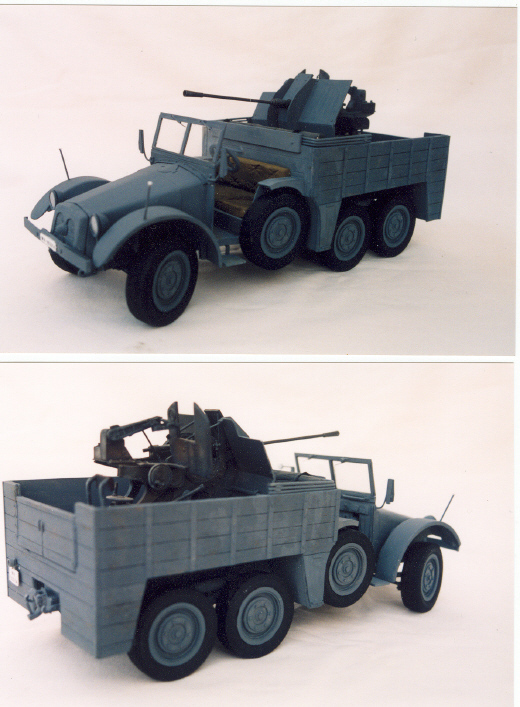 I have always wanted to do a German soft skin vehicle as a change from armour and as I had the Protze truck in 1/35 scale by Tamiya I decided to do this one as the version that carried the 20mm flak gun. I copied the parts almost straight from the kit and scaled them to 1/16 as I went, the main chassis is from 1/4 x 80th strip and to this I mounted a floorboard which continued right to the grill front, this way I could make the bonnet and have somewhere to fix it.After making a cardboard template I made the bonnet from 20th card and shaped it to fit the bulkhead from 60th card, the mudguards were also from 20 card as was the inner covers for the engine extensions. 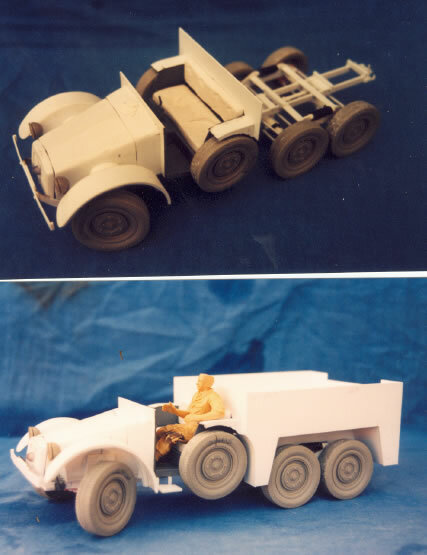 The rear suspension was a big cheat made as a fixed unit from 1/4 tube axles and fitted to centre hangers,when the connecting arms were fixed I hoped it looked like the independent suspensions all other parts were made in the usual way from card and strip. 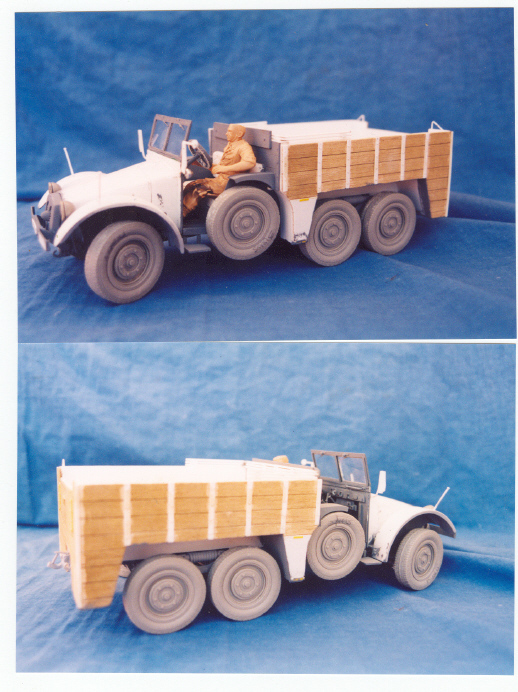 I had a 1/16 tyre from an old Bandai model from many years back and I fitted a middle to it and had 8 made by Castoff. 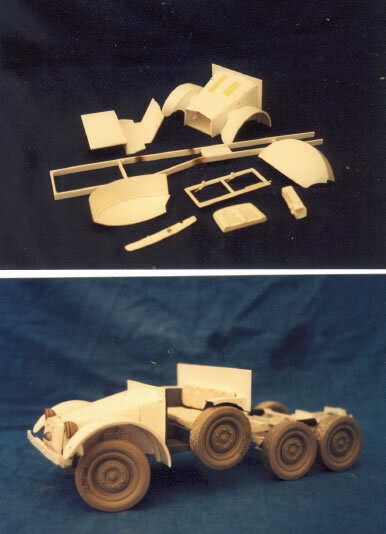 The rear body is covered with balsa planking fitted to card and eventually I will fit the 20mm gun that I have ready made from Verlinden, unless I use it to tow the late version of the field kitchen..ummm.